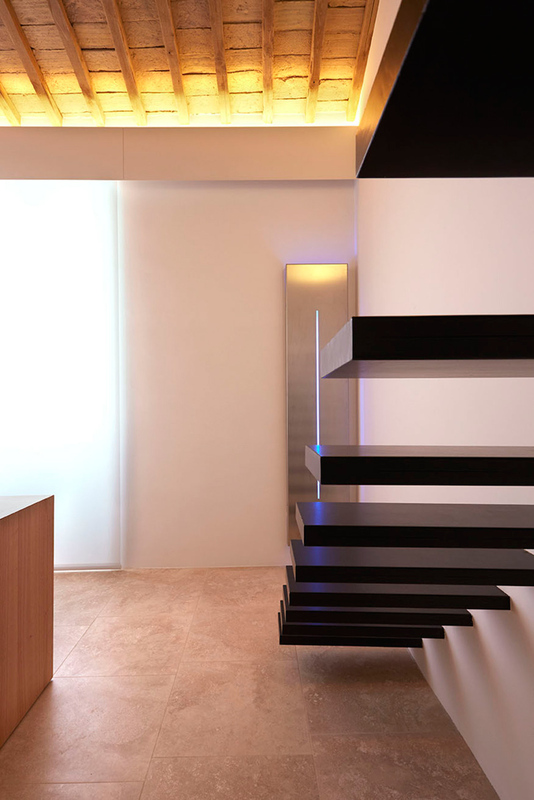 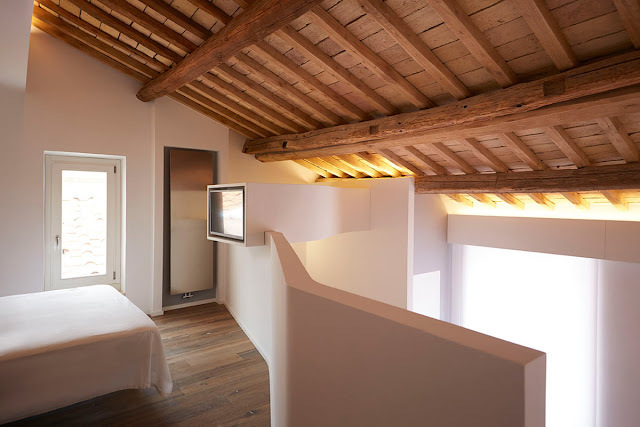 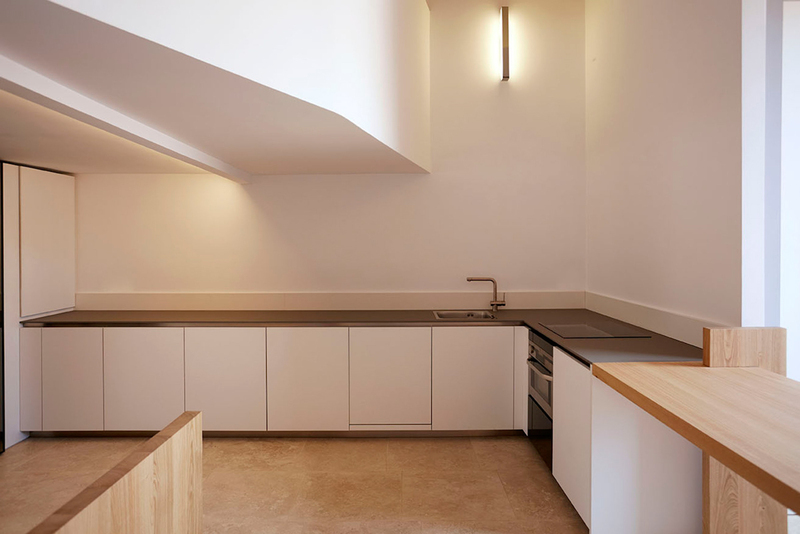 On the top floor of a 17th century building in Rome, Italy, architect Alessandro De Sanctis of des interior architecture redesigned a small penthouse loft, featuring a suspended serpentine tv stand on top of an all white, minimalist interior. 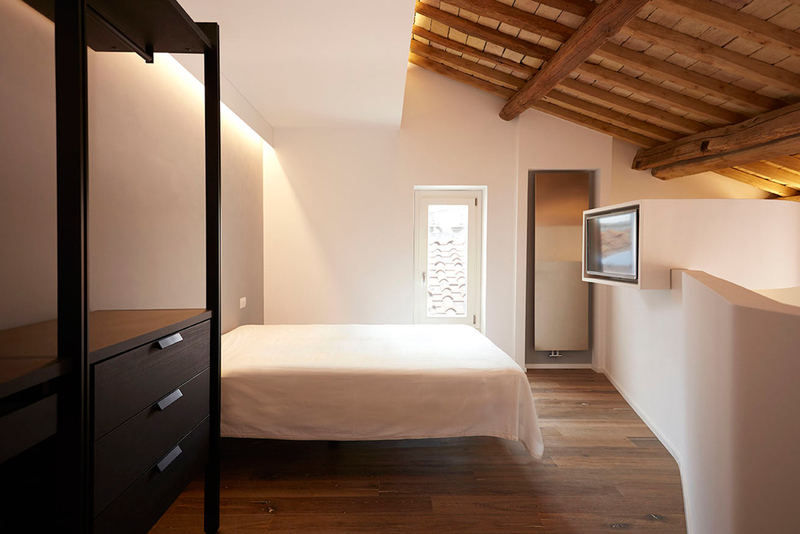 “This small loft on the top floor of a 1644 building originally built in Rome by Architect Mattia de Rossi (pupil of Bernini) and renovated in 1719 by Architect Alessandro Specchi (famous for not winning design of the Spanish Steps ) consists of an open-plan living area and kitchen on the main level in which only the bathroom is compartmented, with a private bedroom on the mezzanine level. 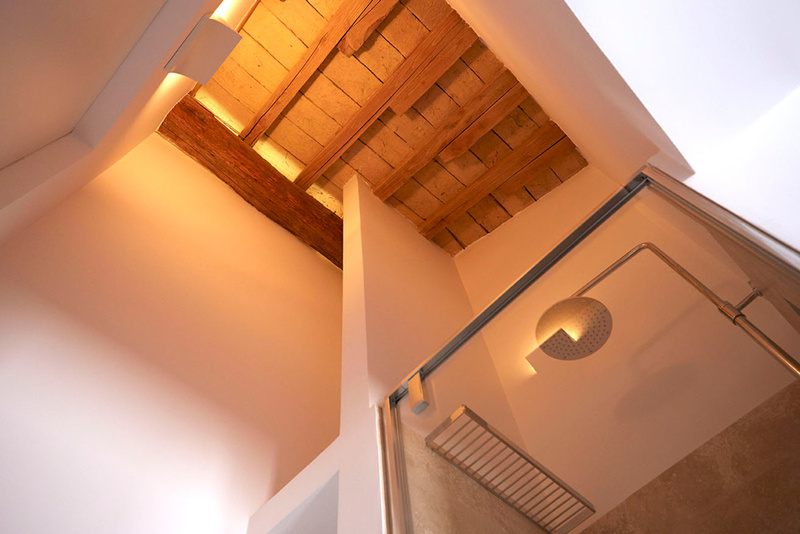 The living area is characterized by the use of reflex glass to produce a sense of expansion and compenetration of space. 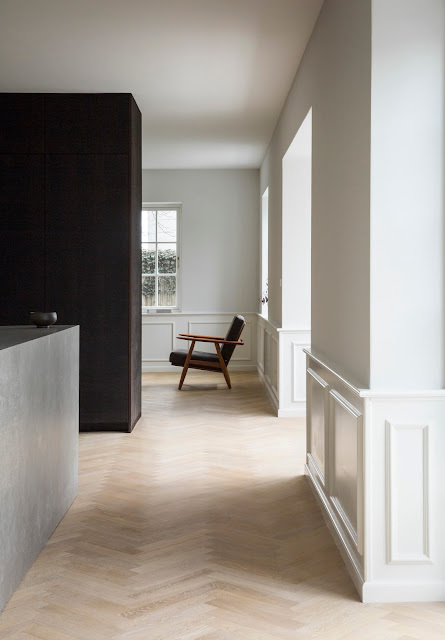 The table and the sofa are in solid chestnut like the original beams in the ceiling. 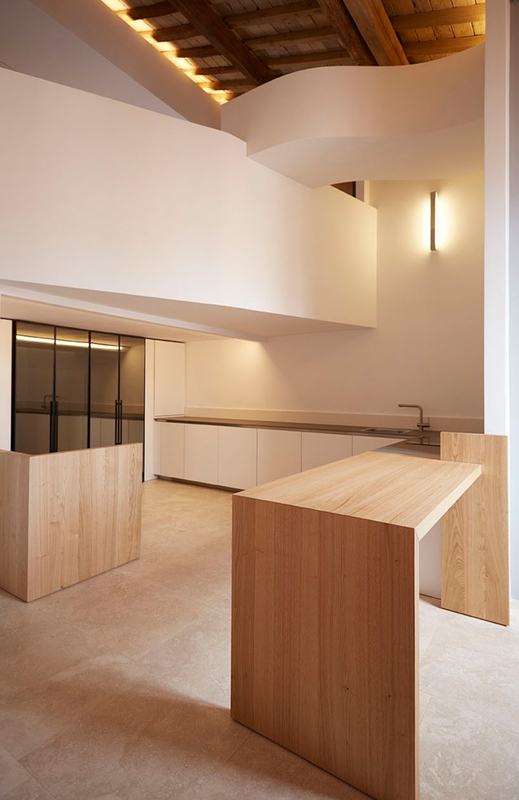 The floor in the living area is of matt Roman Travertine slabs and the access to the bathroom is characterized by a flush door to the wall of elevated height. 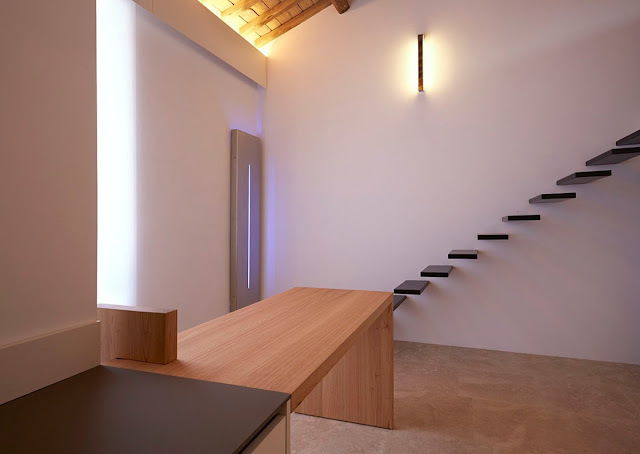 The sleeping area accessed by a suspended staircase is characterized by a white finish curved parapet, by a suspended bed and by the suspended serpentine tv stand (Alessandro De Sanctis prototype). 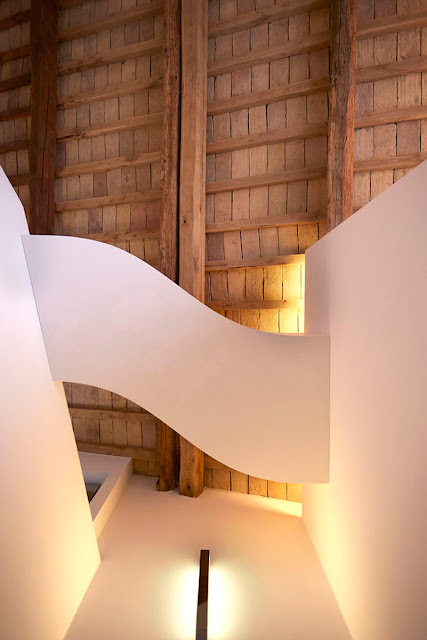 The lighting around the loft is dominated by luminous grooves that produces an indirect light that make the atmosphere more suggestive.